- Premium Necklaces Last Longer & Glow Brighter! - Comes with 10 ea: Blue, Yellow, Red, Pink & Green! - Durable Premium Grade - No Leaks or Breaks! Premium 22" Glowing Necklaces are a part of our Premium line which means they have more glow volume which makes for a big time glow! 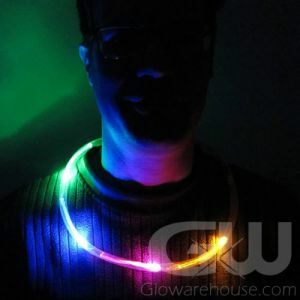 Our 22” Assorted Color Premium Glow Necklaces come in tubes of 50 pieces and have an assortment of colors including green, blue, red, yellow and pink. Great for any type of glow party, community or school dances, fireworks celebrations, concerts or for Halloween. 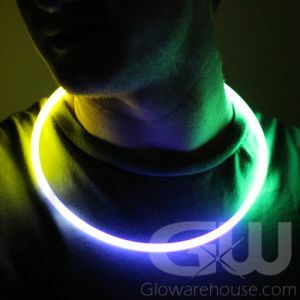 Let your imagination run wild with our 22” Assorted Color Glow Stick Necklaces! You can come up with lots of fun ways to instantly add extra color and flare to any Halloween costume. Use Glow Necklaces as party lights by linking them together and lighting up borders and pathways, adorn any object and create fun light up center pieces and party decorations. 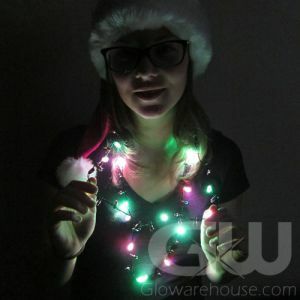 There are many different practical applications for 22” glow in the dark necklaces as well. 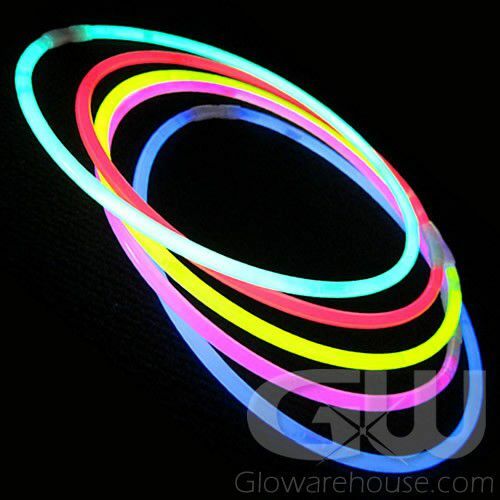 Use glow necklaces for marking people, objects or places for night time activities. Now you can make sure you know who’s who on your night sports team by marking the players with a Glow Necklace and marking out playing areas too! 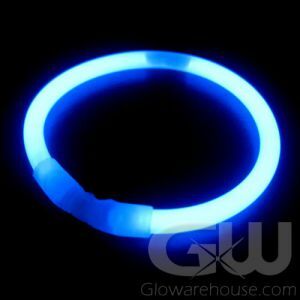 Hand out 22” Glow Necklaces to the kids while camping or Trick-or-Treating so you know where they are when it gets dark! 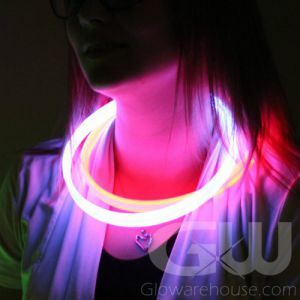 Eye-catching, attractive and versatile, the 22 inch glow in the dark necklaces can be used to attract attention (and sales) to your booth, stand or kiosk and bring on that special glow party atmosphere to any situation! 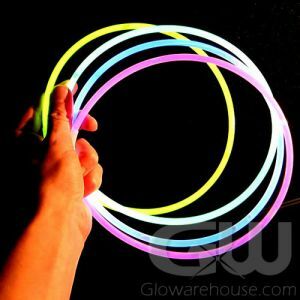 22" glow necklaces can be used to make some fun glow in the dark crafts as well! 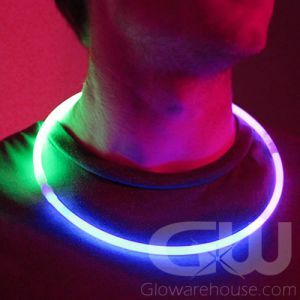 22 inch Assorted Color Premium Quality Glow Necklaces are 100% waterproof, 6mm thick and the necklace connectors are already attached!